Home Best in Australia Who are the 5 best NDIS providers in Sydney? With the nationwide rollout of the National Disability Insurance Scheme (NDIS) on the 1st of July, 2016, the huge number of individuals and organisations that have registered to be an official provider of the NDIS means that it can be confusing or difficult to find the best NDIS providers in Sydney. An abundance of available options means greater access to this scheme for all disabled people, yet it remains important that those searching for the right organisation or individual understand what they should be looking for. The NDIS is a government initiative with the aim of enabling disabled Australians less than 65 years of age to gain better access to the necessary support and funds they need to live life ordinarily. The scheme is focused on participants (i.e. the disabled people applying for the program) in the sense that they are given the choice of which organisation or individual they will receive support from. This forms part of a central principle of preserving the individuality and independence of the participants, whilst simultaneously improving their quality of life through adequate and necessary support. The goal of this scheme is to help disabled Australians achieve their individual goals, whether it is greater employment prospects, involvement in their local communities or general life quality enhancement. This often takes the form of funded supports if deemed appropriate. The scheme recognises the right of disabled Australians to determine what is best for themselves and to have choice over their own course of action. Because the NDIS is still a relatively new development is easy to become overwhelmed with the many factors to take into consideration. Yet it is important to make the right choices from what is avaliable. Who are the best NDIS providers in Sydney? To find the local NDIS providers in Sydney, there are several things one should take into consideration. Does the individual or organization meet the basic requirements with respect to qualifications, experience, etc? The top NDIS providers in Sydney employ disability support professionals who have the proper education and training qualifications. Said professionals will only employ methods or strategies that have solid evidential bases or are grounded in scientific research. Some of the best NDIS providers in Sydney boast services that are family-centric i.e. they work with not only the disabled person but their family as well, taking into consideration each individual family’s circumstances and home situations. These individuals or organisations strengthen the support network of the participant, enhancing the family’s strengths to create a better environment for the participant. The individual or organisation should not only welcome all participants from all walks of life, regardless of race, religion, colour, sexual orientation etc., but also be sensitive to different requirements and take into account these differences. Does the service go beyond and help with everyday life? The best NDIS service providers in Sydney provide assistance for the day-to-day activities, helping participants engage with their daily lives at home and also with their local communities. Such assistance should involve helping the participant build essential everyday skills to help them feel that they belong. Making the right choice is difficult with so many options. To make the search much easier, here are 5 of the best NDIS providers in Sydney. Modified Driving Solutions is an organisation committed to assisting clients who have been impaired from various medical conditions in improving their ability to drive safely on their own. The team at Modified Driving Solutions have been specifically trained to assess how a certain injury or impairment can affect an individual’s driving ability and provide a tailored solution. Modified Driving Solutions is one of the best NDIS providers in Sydney, with experience in assisting disabled Australians achieve their personal goal of attaining a license to drive in Australia since the scheme rolled out in 2016. Working with professional driving instructors who have been trained in driver assessment and rehabilitation, Modified Driving Solutions delivers exceptional rehabilitation plans based on evidence and research that is aimed to enhance the participant’s driving skills, regardless of their level of experience. Driving is an incredibly important skill that enables people to commute to work, stay connected with their friends and gain access to essential organisations and institutions. For the disabled Australian, learning how to drive is one of the most important skills they will obtain as it not only enhances their independence, but also provides them with more opportunities to remain a part of their local communities. 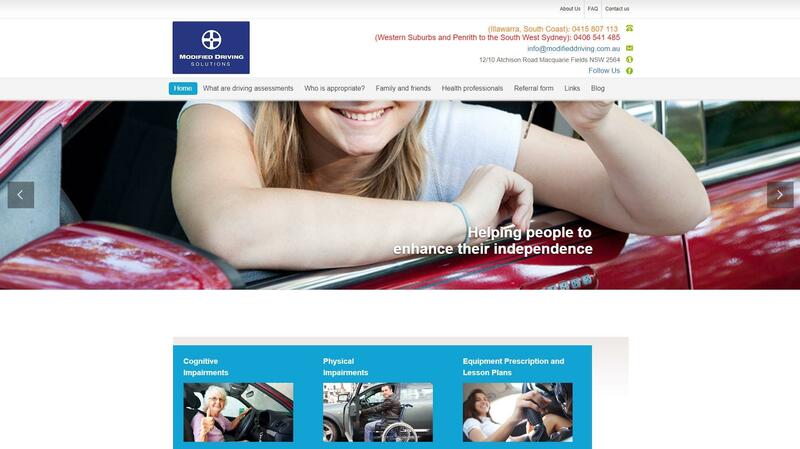 As one of the best NDIS providers in Sydney, Modified Driving Solutions employs a team of registered occupational therapists who not only have the proper qualifications as well as years of experience working with both cognitively and physically impaired participants, but are also qualified Driving Assessors who are well-equipped to help participants with this particular skill. A participant looking to enhance their driving ability at Modified Driving Solutions will undergo an Occupational Therapy Driving Assessment, carried out by one of these specially trained OTs. The assessment, performed at the participant’s house, involves a number of screening assessments and a 1-hour drive during which the OT will assess the degree to which the participant is impaired, their level of driving skill and whether there is a need for driving modifications. The resulting report will be sent to the RMS by the OT as is required by law. The OT collaborates with a rehabilitation driving instructor to generate a specialized lesson plan, involving setting out the driving lesson schedule and prescribing goals. At Modified Driving Solutions, the team of health professionals will perform a qualified assessment of the participant’s impairments and the requisite adjustments, generate a driving lesson plan that is suitable for the participant and their conditions, supply the proper vehicle modifications and give feedback to ensure that the participant’s requirements are met until they achieve their goal of obtaining a driver’s license. In addition, the team at Modified Driving Solutions is family-centric, and will collaborate not only with the participant but with the participant’s family on figuring out solutions that take into consideration all parties involved. MDS accepts referrals made from the participant’s family on behalf of the participant. On top of that, MDS aims to keep fees and costs at low competitive prices, taking into consideration the participant’s budget and independent choices. If you want professional, high quality solutions that are all-inclusive and are sensitive to your needs, the team at Modified Driving Solutions is one of the best NDIS providers in Sydney you could ask for. Civic is a not-for-profit organisation that has provided services to intellectually impaired individuals or those with mental health conditions for close to sixty years. Focusing on each and every person, Civic values the importance of individuality and assists and encourages participants to critically think about their own values, what they want from life, what they like and dislike etc. while supporting each individual in achieving their goals and dreams. The team at Civic is committed to the tenet of ‘Person Centred Active Support’, by which the staff are expected to cultivate the individual and personal growth of every participant. Civic staff will be mindful of differences between each individual, both subtle and obvious, and work to implement solutions that match the participant’s requirements and level of capability. In doing so, the staff aims to work with participants as opposed to completing tasks for them, nurturing their levels of self-esteem and confidence to ultimately result in greater independence. The end goal of this ‘Person Centred Thinking’ is to assist participants in their reintegration and participation in the wider local community. 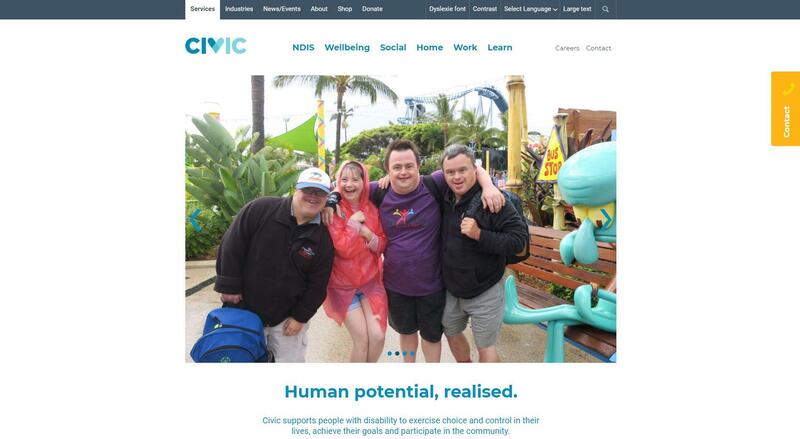 Civic is a regarded as one of the best NDIS providers in Sydney due to the wide range of services they provide in enabling people to achieve individual success. In terms of preservation and improvement of the participant’s personal health and wellbeing, Civic offers a wide range of disability services for participants to gain skills in the most essential facets of day-to-day life. These include skills such as getting dressed, consuming food and drink, maintaining personal hygiene as well as medicine administration. At Civic, these supports are specialised for each individual, designed to help the participant transition to living independently. These education opportunities are not limited only to personal care at Civic, however. Under Civic care, disabled Australians can partake in cooking classes, drama classes, build their computer skills and learn gardening to name a few. Additionally, Civic aims to nurture the social life of participants with weekly programs at Civic community hubs that foster social interaction while delivering educational opportunities. Civic is also proud of their team of dedicated specialists who can provide qualified and evidence-based therapeutic care and other support services such as psychological and behavioural support, speech and communication therapy and hearing assistance. 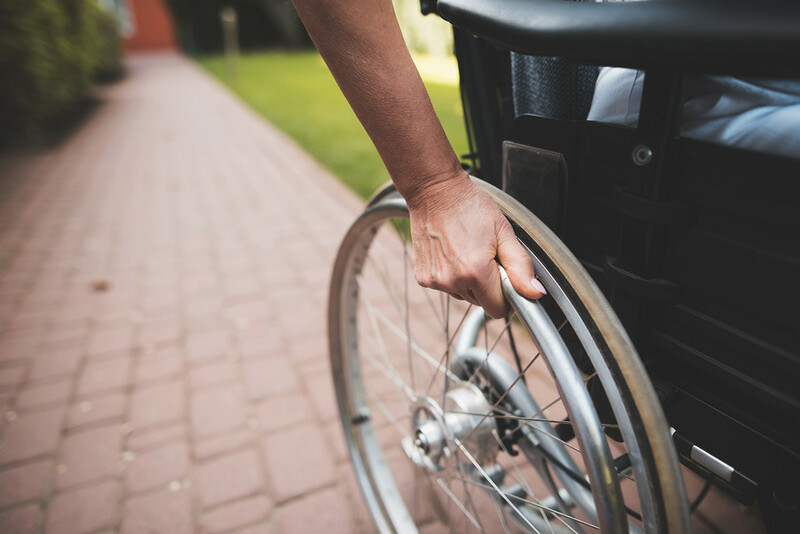 On top of the numerous disability services Civic delivers for disabled Australians, Civic can also assist with the actual planning and management of their insurance scheme. Should a participant choose Civic to manage their insurance, they will receive help with setting goals, claiming fund assistance from the NDIA, finding and managing the sources for supports, as well as the financial side of plan management including payment and developing statements. 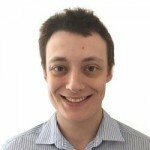 For the disabled Australian looking to gain access to a wide variety of high quality disability services, Civic is among the best NDIS providers in Sydney with years of experience and a reputation for great outcomes. Youth Living Skills is an organisation focused on supporting the physically or mentally impaired youth in Sydney with a range of supports for young individuals aged 7 to 18. 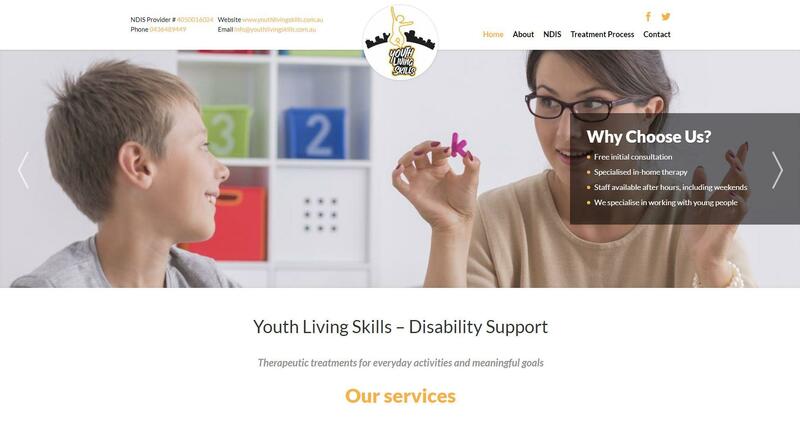 With a highly experienced team of health professionals including occupational therapists, disability support workers and psychologists, Youth Living Skills is committed to the cultivation of young disabled Australians at the age where they are learning important developmental skills. The ultimate goal is to enhance the child’s independence and to assist them in achieving their goals. Youth Living Skills is widely seen as one of the best NDIS providers in Sydney due to their excellent services. At Youth Living Skills, the initial consultation with one of their professionals with the participant and their family is free, to allow for a no-commitment discussion of how their services can assist the participant. In addition, Youth Living Skills offer staff availability outside regular opening hours, which includes availability on weekends. The flexibility is an additional benefit that few outside of the best NDIS providers in Sydney offer. Youth Living Skills is also a family-centric organisation, delivering specialised therapy in the home of the participant. Such a service accounts for the family’s circumstances and helps in building the support network which is so vital in this process. Furthermore, the family is given regular, transparent feedback regarding the progress of their child. At Youth Living Skills, all interventions are evidence and research based, and therapists are specifically chosen for each individual child’s needs. As such, the organisation is particularly exceptional at working with children, as well as communicating frequently with the caretaker and ensuring goals are met. If you would like one of the best NDIS providers in Sydney that specialises in working with disabled children, and excellent policies including an obligation-free ‘quote’ about their services and specialised in-home treatment, Youth Living Skills may be the option for you. The team at Only Care are specialists at delivering disability care, home health care and complex needs care. In the case of disabled Australians with more complex conditions, Only Care is one of the best NDIS providers in Sydney that has a reputation of excellent disability and care services, administered by staff with decades of experience. Only Care’s holistic approach to professional care involves a philosophy of respect and empathy for staff and participants alike. The team at Only Care are a highly qualified and registered staff of nurses, doctors, specialists and other health professionals alike. Only Care treats every case independently and recognises that each individual participant has different requirements that need to be met, and hence effort is put in to create an appropriate individualised solution for each person. In addition, Only Care offers shared accommodation support, granting NDIS participants greater access to care and specialised support as well as a better social setting. Transitional support is also a special suit of Only Care. The team at Only Care understand the stresses participants experience when attempting to readjust to home life after an extended period in hospital. In doing so, Only Care goes beyond the norm to recognize post-hospital care as part of the extended recovery process. 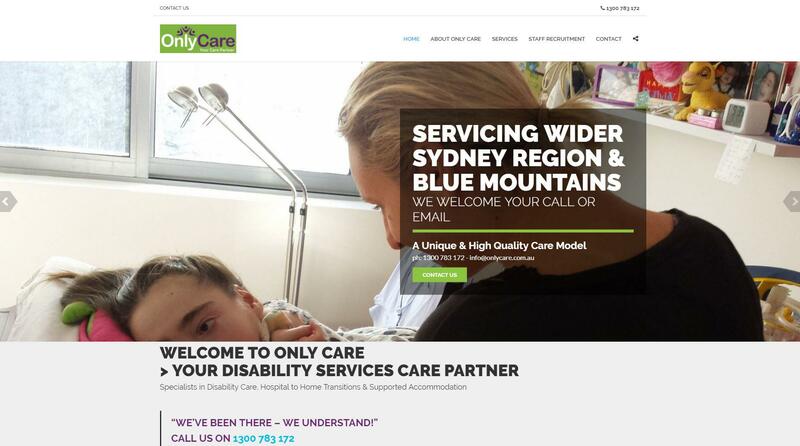 As one of the best NDIS providers in Sydney, Only Care prides itself on delivering exceptional quality care from health professionals in the industry for the participant with more complex needs and requirements. Ability Options is an organisation concerned with the cultivation of disabled individuals’ work- and job-related skills in order to enhance their employability and improve self-sufficiency, with the ultimate goal of supporting participants to reach their goals and become involved in the wider local community. Through the government’s jobactive scheme and Disability Employment Scheme, Ability Options advocates the unique and beneficial value of all participants as members of the Australian workforce. Individualised support delivered to each participant can include planning of career aspirations, job search skills including resume building and interview skills, provision of skill workshops and work experience as well as managing workplace modifications. Ability Options in particular offers an abundance of disability services at a large number of centres within NSW. These include accommodation considerations, community services enabling participants to connect with their local communities more feasibly, health specialist services as well as attendant care. Ability Options also encourages employers to hire disabled participants through delivering employment services, utilising experienced recruitment specialists to develop a plan that works for both the participant and the employer. 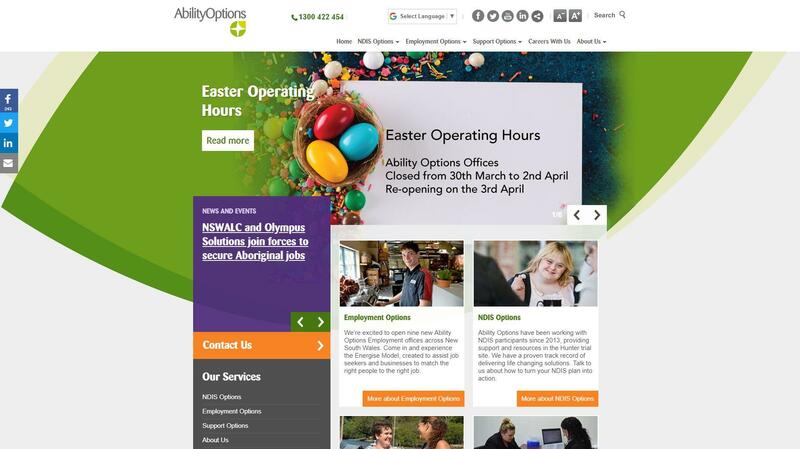 If you are looking for a conscious organisation with expertise in the field of employment, Ability Options is among the best NDIS providers in Sydney that can help you or your child achieve their career goals and dreams. Which NDIS provider will you go with? It is difficult to come to a decision about the most appropriate disability service organisation for you between five organisations let alone the thousands that exist in New South Wales. While this article narrowed down some of the highest quality options available, it is important to remember a few key pointers to help you make your decision. Understand that you may choose more than one NDIS provider as part of your scheme’s plan. As long as you are transparent with the terms of your plan and communicate the supports you require and the goals you would like to achieve with each institution, then you are free to benefit from multiple disability services at your will. You should also make a list of all of the individuals or organisations you have researched to help with the decision process. Start off with the five that have been listed for you here, but build the list according to your specific needs and desires. Don’t forget that there are a number of services in place that are designed to help you with the initial plan management process as well. Support coordinators and other informational services exist that can help explain the terms of the insurance scheme to you, locate the organisations appropriate for your condition or any other assistance you may require. On top of that is an accessible wealth of information available online and over-the-phone. Finding the best NDIS provider in Sydney is not an easy task, however it becomes much more feasible if you know what to look for and how to look for it. While there are several options available nationwide, these five are highly regarded as being able to meet your needs and preferences.